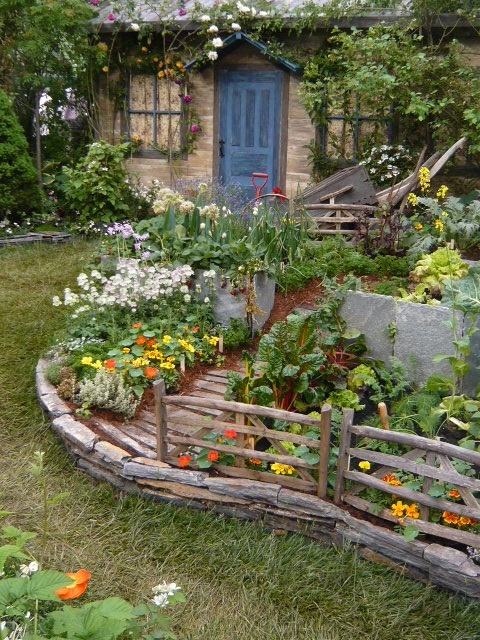 Here's a beautiful yard, that's functional, and edible, as well as beautiful. It's hard to see an image like this and not wish for a simpler life. Wow, I wish I could live there! Can I join you'll? What a perfect picture that is. This is so peaceful looking.